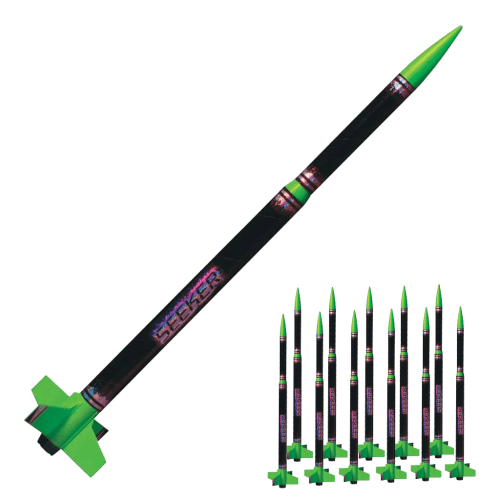 The Quest Seeker Model Rocket Quick kit is quick off the pad and even quicker to build. The Seeker model rocket is a great solution when building time is limited. With pre-finished color body tubes and a full decal set the Seeker model rocket goes from "kit to pad" faster than you can say "wow!" The Seeker is ready to fly in 45 minutes.